Chelsea Manning Will Leave A Military Prison In One Week : The Two-Way "For the first time, I can see a future for myself as Chelsea," says the former Army private, who was arrested in May of 2010 for leaking a massive trove of classified records. Former U.S. Army Pfc. 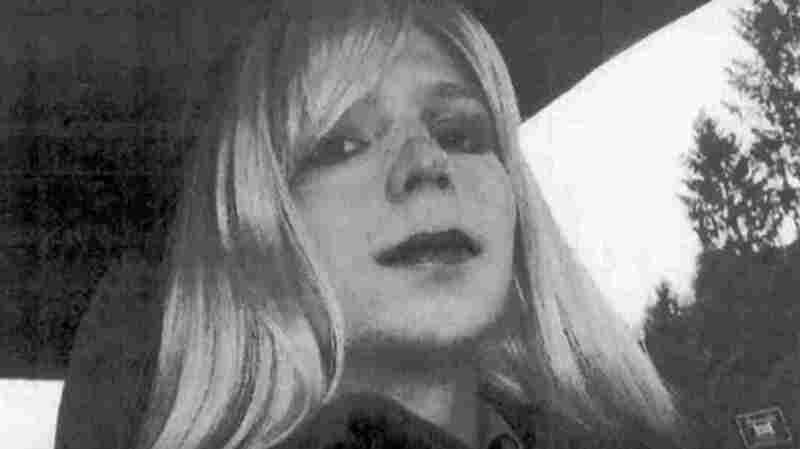 Chelsea Manning, seen here in an undated handout photo, will be released from a military prison next Wednesday. Manning, 29, was arrested in May of 2010. At the time, she was serving in Iraq and was known as Bradley Manning. She announced her transgender identity in August of 2013, at nearly the same time she was sentenced to prison. In a pair of firsts for a person held in a military prison, she underwent hormone therapy and, last fall, the Army agreed to allow her to have gender transition surgery. Manning is responsible for what's seen as the largest leak of classified data in U.S. history. Among the records she admitted to leaking was a video showing a 2007 U.S. Apache helicopter attack in Baghdad that killed 11 men, including a Reuters news photographer and his driver. Also included were hundreds of thousands of diplomatic cables. For months during her detention, Manning was held in solitary confinement. In 2012, the U.N.'s expert on torture said that while she had not yet been found guilty of a crime, Manning's treatment by the U.S. government was "cruel and inhuman." After Obama granted Manning's request for a commuted sentence, the president said she had "served a tough prison sentence," arguing against those who said the move would show leaking classified information could go unpunished.